Bill Windsor has filed Appellant Briefs with the Tenth Court of Appeals in Waco Texas. Dizzy Bill Windsor has spent the last several days preparing his Appellant's Briefs for filing in the Tenth Court of Appeals in Waco Texas. William M. Windsor was incarcerated, denied bond, and denied all forms of Constitutional rights as part of a scheme to deny him the ability to pursue his multi-zillion dollar civil lawsuit against his cyberstalkers -- the largest case of defamation in U.S. history. 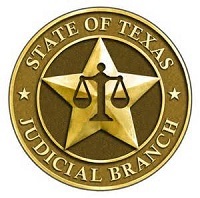 Bill Windsor managed to get corrupt Judge Bob Carroll removed as judge in Case #88611 in Ellis County Texas, but not before he outrageously granted Sam Round's special appearance dismissal and even more outrageously granted Sean D. Fleming's Motion to Dismiss on the basis that the lawsuit was improper. This will certainly go down as one of the most outlandish court orders in modern history. Then Bill Windsor was hit with close to half a million dollars in sanctions, and a new corrupt judge, Joe Grubbs, dismissed the case alleging "want of prosecution." The only thing wanting was the corrupt Joeyisalittlekid Gang's want to avoid a $100,000,000+ financial award to William M. Windsor. So, Bill has prepared his Appellant's Briefs in Appeal #10-14-00355-CV, 10-14-00392-CV, 10-15-00069-CV, and 10-15-00092-CV. Tenth Court of Appeals, Waco Texas. Ever optimistic Bill Windsor expects to win all four appeals...because that's what the law provides. And the justices of the Tenth Court of Appeals have been fair thus far. Bill Windsor will post each of his Appellant's Briefs at www.LawlessAmerica.com as time and dizziness permit. Happy Father's Day to all the incarcerated fathers whose children miss them.